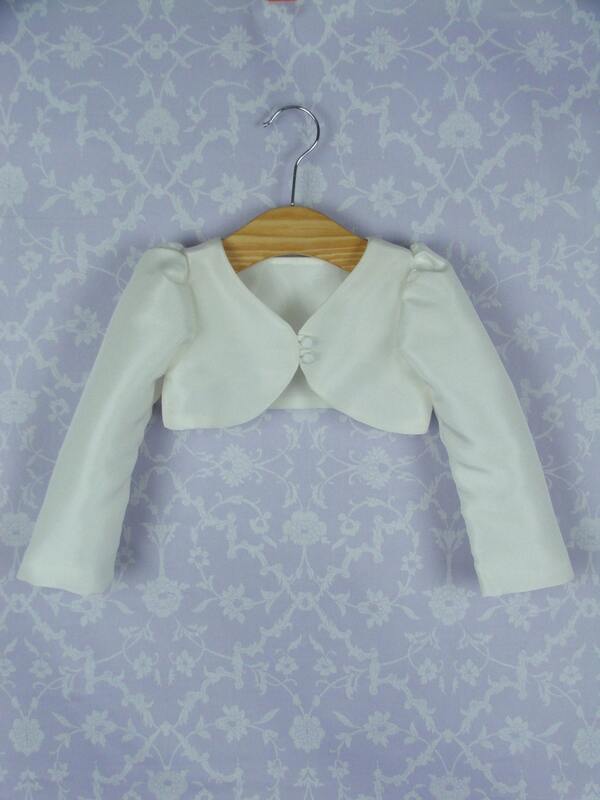 This lovely little silk Bolero jacket is perfect for adding a long sleeve over your babies dress. 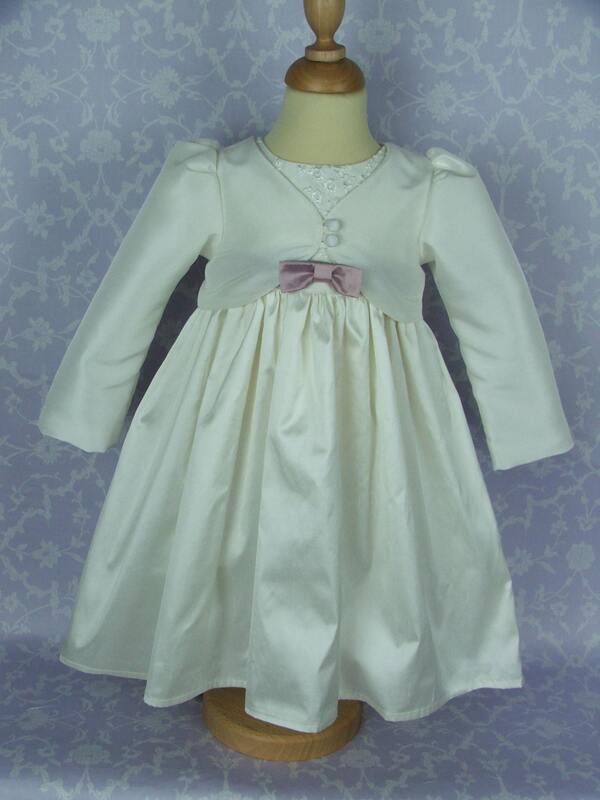 Sits neatly over long or short gowns and dresses and fits neatly over any of the puffed sleeves. 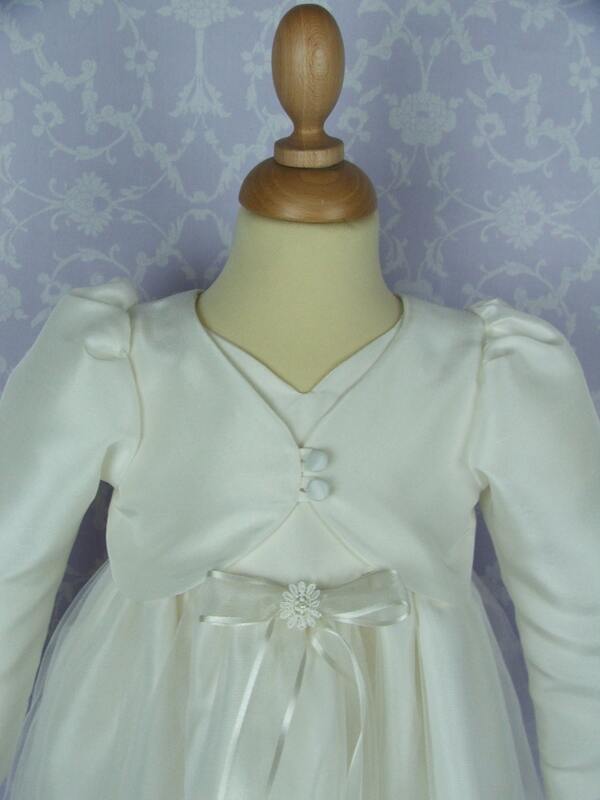 We have photographed it with a couple of our dresses but it will fit with any of our gowns and dresses. Long sleeves and two rouleau loops and covered buttons closes the front of the jacket. 100 % silk outer body with a quality polyester lining. Additional info for sizing /Drop down menus in Imperial. 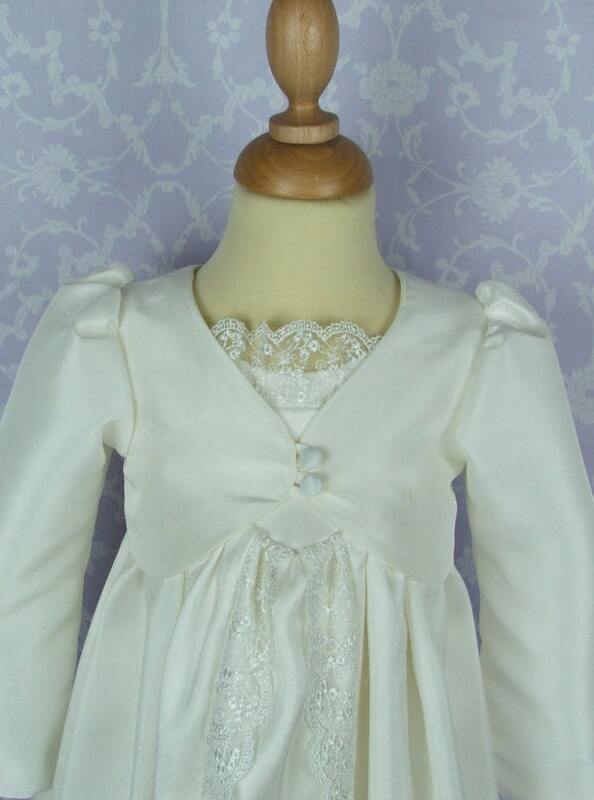 Stunning Bolero, to match my little girls beautiful dress that Rachel has made, the photos do not do these stunning items justice! Rachel is very friendly and helpful and I can't wait for my little ones Christening day! It's just all so perfect!